By Jenny Molloy, University of Cambridge. Introduction by Raniere Silva, Software Sustainability Institute. Chris Anderson, in his book "Free: The Future of a Radical Price", explores the transformation on business imposed by the spread of cheap computation power and data transfer. This same factors changed how we do research. Pre-prints, data share, code share have more common than you’d think. Unfortunately, scientific hardware is still a barrier for many researchers who don't have access to the tools required for their investigation. 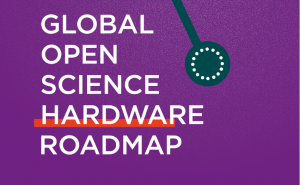 We are very excited to share the “Gathering for Open Science Hardware's Roadmap”, originally published at openhardware.science, "for providing global access to scientific hardware by 2025 through open source designs, collaborative research and new manufacturing techniques, including 3D-printing." The following text was first posted at the Gathering for Open Science website. Over 100 researchers, engineers, educators, entrepreneurs and community organisers from 30 countries have published a report describing the steps for providing global access to scientific hardware by 2025 through open source designs, collaborative research and new manufacturing techniques, including 3D-printing. The group, who convened at CERN in Geneva and at the Pontificia Universidad Católica de Chile in Santiago in 2017 during meetings supported by the Alfred P. Sloan Foundation, argue that too few people have access to the tools needed to perform science, particularly researchers in developing countries and communities wanting to gather and analyse data about their own environment. From microscopes to microfluidics and water quality test equipment, they are part of a growing movement to share designs for scientific hardware openly online that anyone is freely able to use, modify and even commercialise. They claim this could drastically reduce the costs of research while enabling people to collaborate and learn in new ways. “Our project is sustained by the shared goal of creating common knowledge through direct public participation in science and technology. Not from the detached criticism but practical engagement” suggests one of the authors, Dr Luis Felipe R. Murillo from the “Institut Francilien Recherche, Innovation et Société” in France.